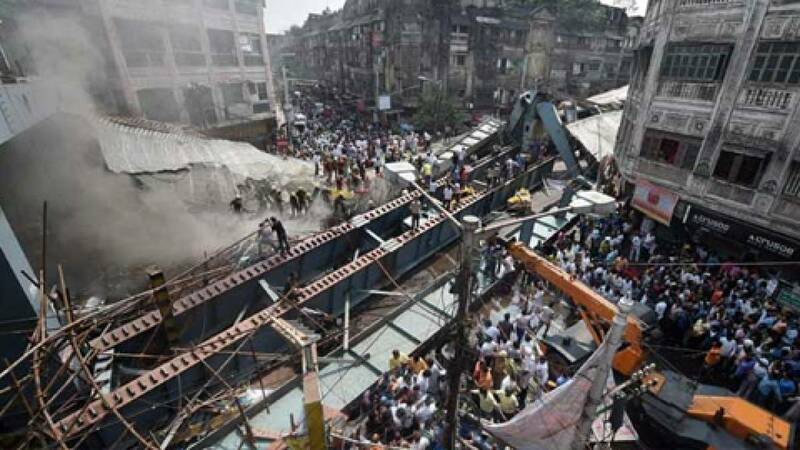 At least 18 people lost their lives and more than 60 were left injured after an under construction bridge collapsed on a congested road intersection in Kolkata. The incident comes as a big embarrassment for Trinamool Congress (TMC) during a time when the state goes for polls in less than 2 weeks. CCTV footage showed people, cars, autorickshaws and hawkers buried under the collapsed structure, while some trying to flee the spot were also trapped. A high-level probe has been ordered by the government after opposition came out banging and accusing the Mamata Banerjee government of callousness. However, Trinamool Congress has put the blame on previous Left government, under whom the construction of the bridge had started. "It is nothing but God's act," claimed Panduranga Rao of the Hyderabad-based IVRCL Construction company engaged in the flyover's construction. The police sealed the local office of the IVRCL and registered a case against the company under section 304,308 and 407 of the IPC. Chief Minister Mamata Banerjee, who visited the spot cutting short her election campaign, said, "Stringent action will be taken against officials of the construction company and others involved."